Sustainable Management Systems is the utility industry's leading provider of closed loop, RFID-based technology solutions for automating lifecycle asset tracking. 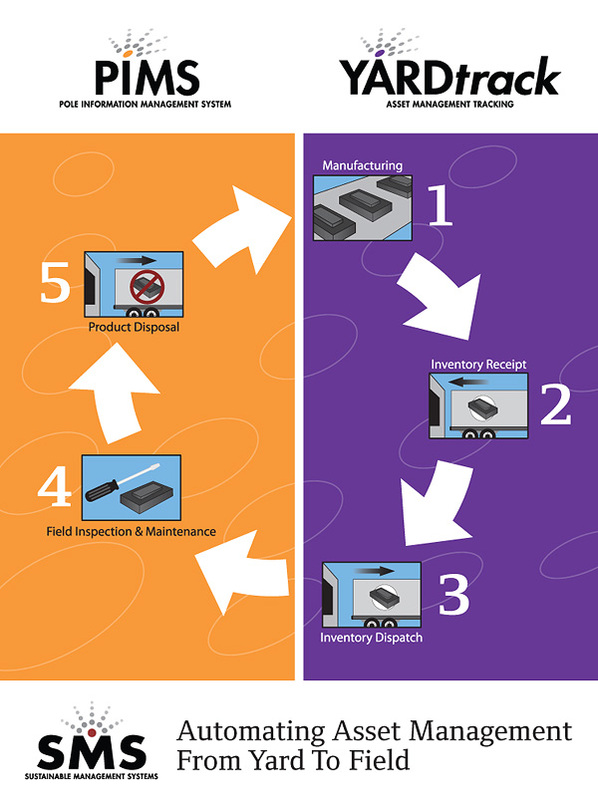 Through the combined efforts of our YARDtrack and PIMS applications, high value assets can be tracked from initial inventory receipt to final disposal. * Real-time, automated inventory management for multiple facility configurations including warehouse, manned and unmanned yards. * Complete tracking of newly deployed field assets with full GIS integration capability. * Streamlined field inspection and maintenance processes with documented ability to generate up to 45% reduction in labor time. * Complete asset history including completed and pending maintenance to support warranty replacement procedures. * Detailed tracking of joint use revenue opportunities. Improved data mining to support future asset replacement budgeting processes and pending regulatory environments for proper asset disposal. In suburbs and rural areas, co-ops provide energy and are engines of economic development.